The most successful game in crowdfunding history is giving up on Microsoft’s DirectX graphics platform to go all-in on Vulkan. Cloud Imperium Games, the developers of Star Citizen, recently said on its forums that the game would only support the Vulkan API, dumping plans to support DirectX 12. The plan for Star Citizen was always to support Vulkan. In fact, the game has been in development for so long, the original plan was to support Mantle, Vulkan’s AMD closed source predecessor. But not even bothering with DX12 and planning to eventually dump DX11 is something new. For Star Citizen it makes a lot of sense. After being in development for years, it’s scheduled to launch in 2017 (although some of us aren’t so sure it will) and streamlining the underlying graphics technologies should speed up the process. CIG isn’t completely closing the door to DirectX, but for now the studio doesn’t see a compelling reason to use the Windows-only DirectX over Vulkan on Windows. 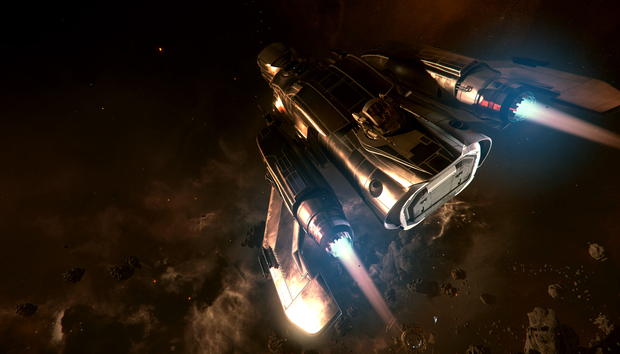 Star Citizen is under development but is available in alpha form for $45.00. Why this matters: If you’re an open source type, or just want to see Windows 10 gaming burn, you may be tempted to read a lot into this. Right now, however, let’s keep our heads and remember that Star Citizen is just one game/epic-universe-experience-thingy. While Bethesda recently inked a deal with AMD to infuse multiple games with Vulkan tech, we’d have to see more game makers dumping DirectX for Vulkan before buying into the notion that a tectonic shift is occurring in the gaming industry. And even if that did happen, Microsoft would almost certainly have a counter-attack to keep DirectX relevant, though DX12’s ability to work on both Windows PCs and the Xbox One is a compelling advantage in its own right. But for now, this is just an interesting development by a small development house that often suffers from delusional ideas like charging $400 for bespoke pixels.